Rose means “pink” in French and refers to the color – but not the flavor – of the biscuits. They’re usually eaten with another major product of Reims: Champagne. The traditional Gallic approach to rose biscuit consumption is surprisingly gauche for the usually fastidious French: you just dunk the biscuit into a glass of bubbly and then quickly eat it before a soggy hunk falls into your flute. 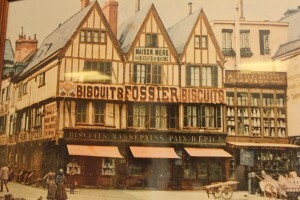 Rose biscuits are more like what we Americans would call “cookies,” and they’re one of the few biscuits actually deserving of the name “biscuit.” In fact, according to some sources, the biscuit was conceived in Reims during the production of rose biscuits. In French, the word biscuit can translate to “cook twice.” Unlike fluffy American biscuits, rose biscuits actually go through a two-stage cooking process, presumably developed by a 17th-century rose biscuit maker to get the most out of every degree of hot oven. After the first bake, there’s a brief cooling-off period, then a second bake, resulting in its signature crunchy and chewy texture. 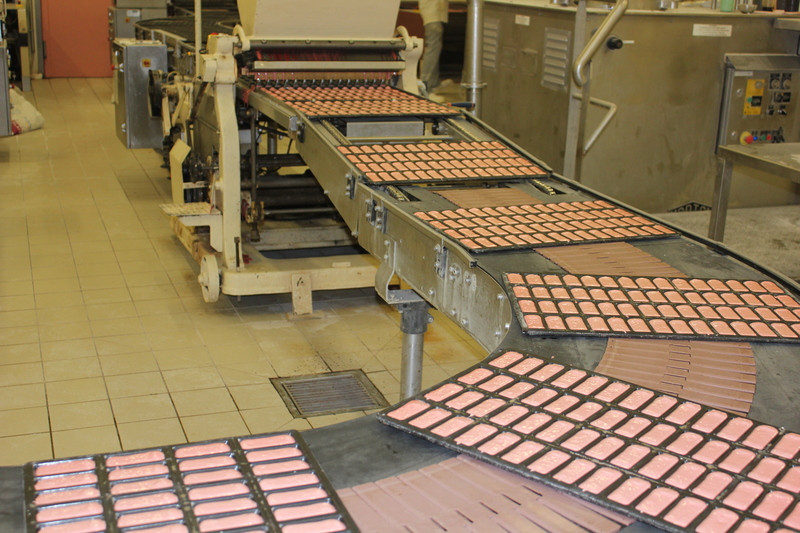 Rose biscuits are colored pink with cochineal, a dye indigenous to Oaxaca, Mexico. The dye is produced by a parasite that lives on nopal cactus paddles – the same insect-based dye that was used in Starbucks’ Strawberries & Crème Frappuccino until protesting vegetarians compelled the company to change its recipe to include all-vegetable dyes. 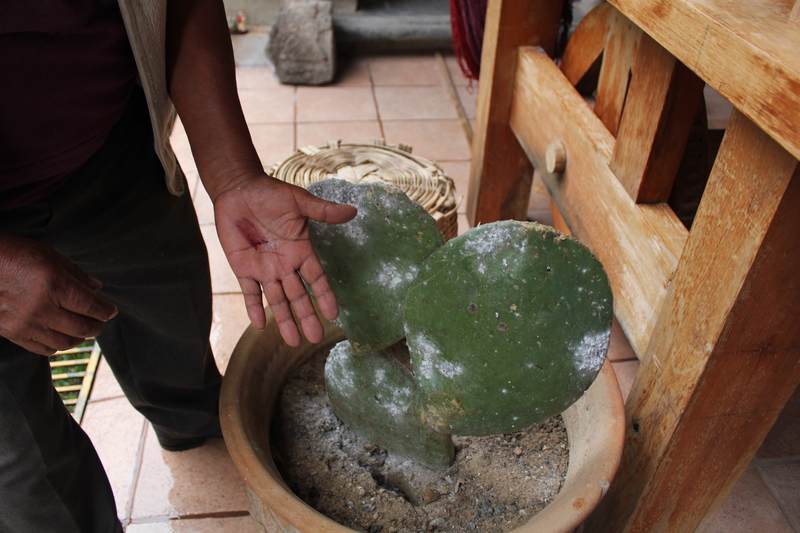 Cochineal is still used in many foods. But how did a Mexican dye make its way into a 17th-century French cookie, especially given such unpleasantness as the Thirty Years’ War and Franco-Spanish War within that same century? Our amateur historical analysis finds that the dye was transported to the region by the Spanish. During the 17th century, Spain controlled Mexico, as well as the historic Southern Netherlands that bordered northern France. In the late 18th century, the French Revolutionary Army annexed the Southern Netherlands. 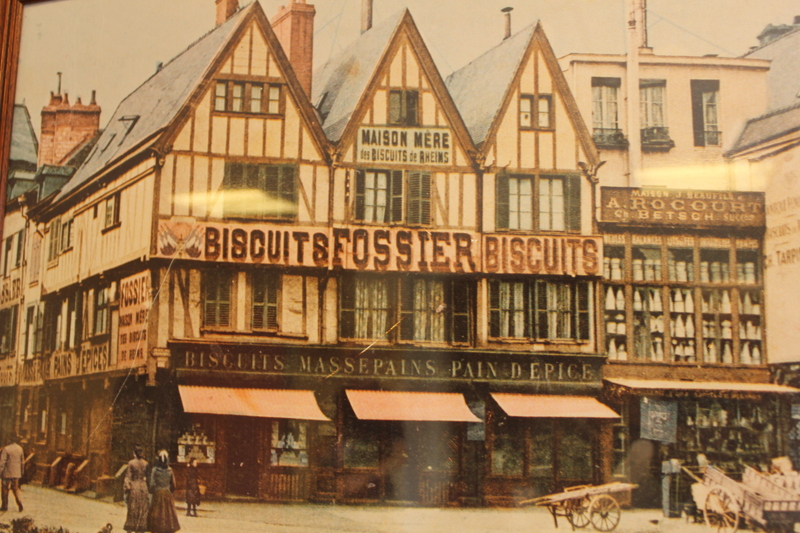 By that time, bakeries in Reims were already making rose biscuits with cochineal, likely brought to the region by the Spanish. The reason for using the dye is that the baker didn’t like the brown flecks of vanilla bean in his cookie, so he camouflaged them with pink coloring, rendering them much cuter – a very acceptable collateral benefit. At a meal during a 2012 visit to Reims, my party was served rose biscuits with our aperitifs, as is traditional – but they also came with our desserts. The biscuits are made in large and small sizes, and sometimes ground and added to wheat flour that can be used in waffles or other pastries. 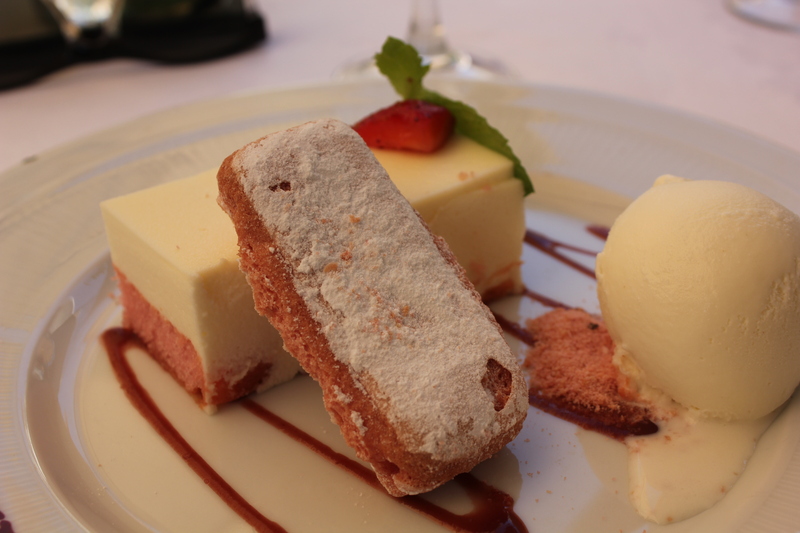 Rose biscuits for dessert look beautiful sitting on a plate next to a glass of Champagne. They are very slightly sweet which makes them compatible with the sometimes bone-dry bubbly of this region. But as a great lover of all cookies, I found these rose biscuits to be less than marvelous-tasting: there just wasn’t a lot there, basically a gorgeous little lump of sugar and crunch. Still, rose biscuits are beloved by the French—perhaps much like chitterlings are beloved by Americans in the Deep South or stinky tofu by the Taiwanese. This could be a fondness grown more of tradition than of an appreciation of the actual gustatory characteristics of the foods. 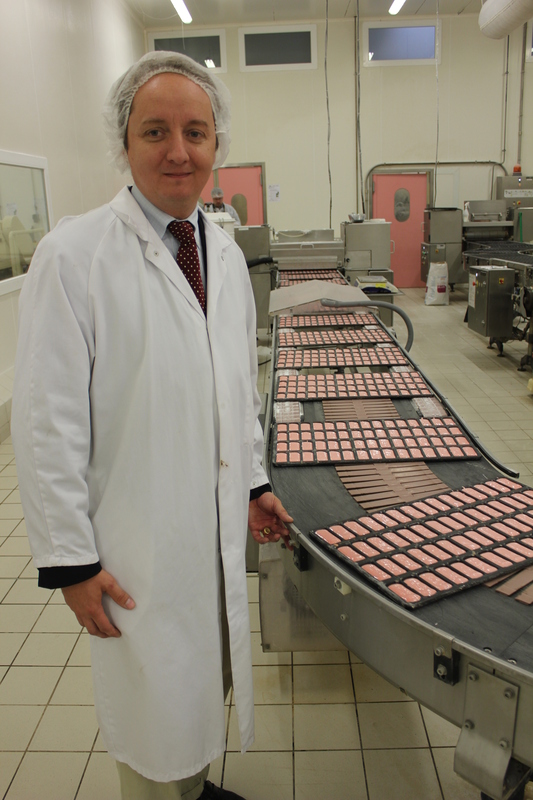 Charles Antoine de Fougeroux, Fossier Directeur Général, told us that though his rose biscuits are not generally available in the United States, they can be sometimes found at Dean & DeLuca. We recently confirmed this, spotting them on the shelves at this landmark food shop’s location on Madison Avenue in New York. Next Next post: In a pickle: What’s up with green relish?